The book of Revelation is perhaps the most theologically complex and literarily sophisticated — and also the most sensual — document in the New Testament. 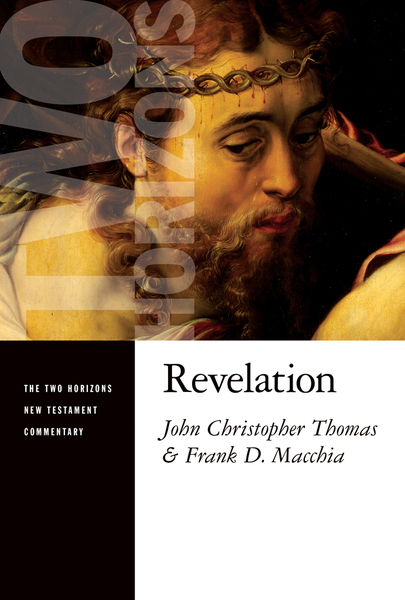 In this commentary John Christopher Thomas's literary and exegetical analysis makes the challenging text of Revelation more accessible and easier to understand. Frank Macchia follows up with sustained theological essays on the book's most significant themes and issues, accenting especially the underappreciated place of the Holy Spirit in the theology of Revelation. John Christopher Thomas is Clarence J. Abbott Professor of Biblical Studies at Pentecostal Theological Seminary, Cleveland, Tennessee, and director of the Centre for Pentecostal and Charismatic Studies at Bangor University, Bangor, Wales. Frank D. Macchia is professor of Christian theology at Vanguard University, Costa Mesa, California, and associate director of the Centre for Pentecostal and Charismatic Studies at Bangor University, Wales (UK). His other books include the Two Horizons Commentary volume on Revelation and Justified in the Spirit: Creation, Redemption, and the Triune God.